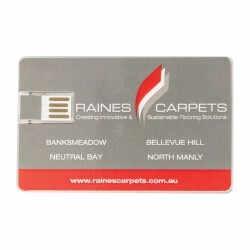 Create a credit card flash drive printed with you company logo and advertising message. 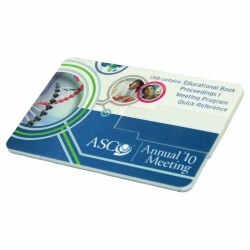 ACE’s collection of promotional credit card style has always impressed clients. It showcases different designs and materials to choose from. 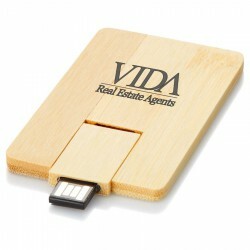 We also offer several ways to customise these flash drives so you can maximize brand exposure. They are excellent tradeshow giveaway or business gifts to customers and clients. 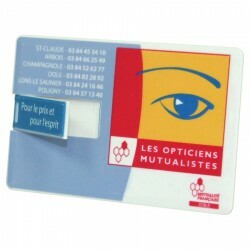 Click on the images below to find out more about these unique promo products. COB (chip on board) credit card in clear acrylic, Grade A memory, 10 Year warranty on data retention, 1 year replacement warranty on faulty manufacture? 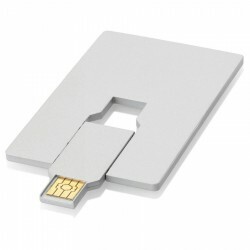 Full colour printed plastic casing, Flip out Grade A memory chip, 10 Year warranty on data retention, 1 year replacement warranty on faulty manufacture. 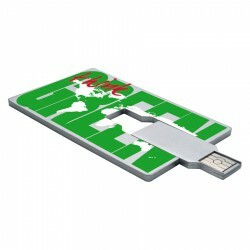 Slim aluminium USB flash drive, Grade A memory, 10 Year warranty on data retention, 1 year replacement warranty on faulty manufacture. 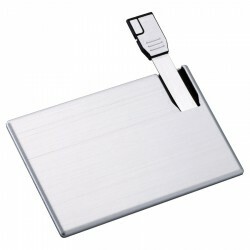 Functional corporate gift incorporating business card holder, pen and flash drive, large branding area, Grade A memory, 10 Year warranty on data retention, 1 year replacement warranty on faulty manufacture.